XRP (XRP) is recovering once again from the dips earlier last week. The digital currency ended the week with 51 cents. The rise in the value of the digital currency helped it to replace Ethereum (ETH) as the second largest digital currency. The gap between both digital currencies was small. Nevertheless, the gap has extended to over $2 billion. XRP (XRP) has managed to stay on top of the game due to the developments and partnership surrounding it. From the interoperability of xRapid to a new partnership with the largest bank in Asia, the rise in the value of XRP follows a week of continuous news on XRP and Ripple. While other crypto projects are more focused on luring retail customers to use their digital currencies, Ripple is doing something extraordinary. 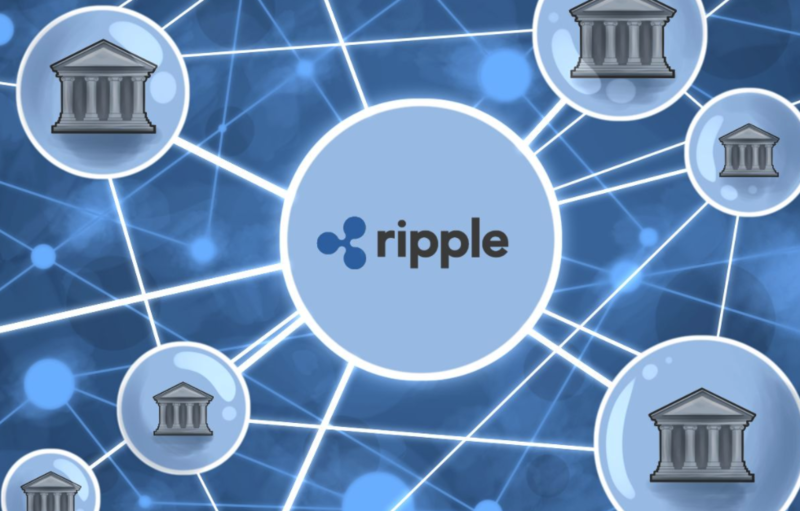 Ripple Inc. is fostering banking transformation via strategic partnerships with financial institutions across the globe. The technology of Ripple has a far-reaching impact, and a lot of banks are beginning to feel that impact. The Siam Commercial Bank of Thailand (SCB) is one bank that has realized the impact of this technology on the development of its business. SCB was looking for a firm to enhance the international payments system in the ASEAN region. According to Colin Dinn, the bank later found Ripple Inc. – a firm that shares the same vision with the bank. Colin Dinn is the Head of Operations and CTO of SCB. The banking sector in the Southeast countries in Asia has a lot of flaws and inefficiencies. Some of the issues with banking business other there include high transaction fees for cross-border settlements and poor remittance services. It also takes much longer to process transactions due to the lack of reliable correspondent banks. To remain competitive and relevant, banks have to change their old ways of doing business and embrace technological innovations. They have to look for customer-focused solutions and strategies to meet and exceed expectations. SCB was looking for a way to enhance its transactions, to make its remittance much faster, cheaper, and easier for its customers. In the search for that much-needed solution, the bank entered into a partnership with Ripple. According to the CTO of SCB, the partnership between Ripple and SCB emanated from a transformational process that began two years ago. The partnership is aimed at exploring new business models and transforming the bank into a new generation tech-savvy bank. SCB recently launched a RippleNet-based retail product for the Thailand-Japan remittance hallway. RippleNet is a platform that connects financial institutions and banks all over the world for seamless and easy international payments. At the moment, more than 200 firms have joined the network, and the number is increasing as Ripple secures more partnerships. Garlinghouse claims that XRP is as 1000 times faster than Bitcoin, the original cryptocurrency, spiced up with external predictions that the following year of 2019 will be the year for XRP. What the future holds for Ripple and XRP and can 2019 become THE year of XRP? It doesn’t really come as a surprise that there are currencies in the market that are faster than the original coin, Bitcoin, as the majority of forks from the original chain actually have faster processing time with lower fees. Bitcoin is getting more expensive year by year, while the validation of transactions takes more time. In this scenario, currencies like Ripple, which is deemed to be a fast and cheap method of transacting monetary value, have a great chance to stand out as a potential threat or more benevolently said competition. 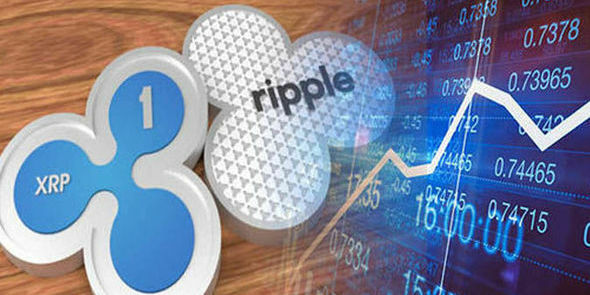 In one of the latest interviews, Garlinghouse stated that he is not focused on the price of XRP but that he is rather looking for different ways to utilize the blockchain technology behind Ripple, adding that Ripple has proven to be one of the most efficient currencies that are working on solving the issues that are active in the domain of remittance payments. On the San Francisco 2018 conference, Garlinghouse also added that Ripple is now 1000 times faster and cheaper than Bitcoin, stating that XRP will be used for designing a decentralized open source product that will solve today’s payment problems. Moreover, the foundation is set to release xRapid officially as a product that could be used by different banks and financial institutions, that way pushing the adoption of XRP. The official release of the product is scheduled somewhere in October of the following year. For starters, pundits continually say that the possibility of Ripple ending 2018 at a value nearing $1 is very much attainable. You may see the figure and may think that is not a lot, but consider that it is currently at less than a dollar: that would be more than ten times its actual price! Imagine how much money could be made with high volume investments. Pundits and cryptocurrency experts point at Ripple when they are asked about the digital tokens with the most potential for 2018 and beyond. After Bitcoin, which is the industry’s leader, there is no clear-cut second placeholder. Maybe, we are starting to experience the rise and consolidation of Ripple. Ripple is a protocol which has been created in order to transfer money anywhere around the world almost instantly. It is one of the fastest cryptocurrencies when it comes to completing the transaction. The transaction is completed using the token of the platform which is XRP. Thus, it is able to complete a transaction from one place to another place in the world almost instantly. The fees of Ripple are actually much less as compared to the normal transactions which are conducted through banks. The fees of the Ripple network are even less than the other cryptocurrencies which can be used in order to transfer money all over the world. This is one of the main reasons why Ripple is gaining more and more prominence. You need to understand that there are many banks all over the world which are using the Ripple protocol now in order to transfer money. This is done in order to ensure that they are able to provide international transfers to their customers almost instantaneously. Moreover, since the fees are on the lower side, you can be sure that the customers would be able to benefit as well. Also, the reduced time ensures that banks are able to use the networks and IT infrastructure more efficiently. This is another reason why Ripple is gaining more and more prominence. If you look at the price of XRP token in the last one year, you would realize that it has increased by more than 100 times. This is because it is a unique cryptocurrency which has a real-world application as well. Even the banks are using the Ripple protocol in order to initiate the transfer’s of money quite quickly. This is one of the main reasons why XRP is so valuable. So, the next time around you’re looking to invest in a different cryptocurrency which has a very strong application, do make sure that you are trying XRP out. It would ensure that you are able to invest in a cryptocurrency which actually has application in the real world and is used by various banks all over the world. Ripple is approaching the vertex of the triangle that has been confining it since mid-December. There is no further room in the triangle, so it must make a decision on its next trend soon. However, the zone is tricky and potentially dangerous, since levels are next to each other and any slip could have important effects. According to the current situation, the ripple has had a hard time finding buyers. Currently, it trades at (check price chart for current price). Ripple still has some growing room left, but meteoric rises like those seen at the end of 2018 will naturally be few and far between, and it’s safe to assume that the price changes will settle into more sustainable ranges. This is especially likely for a coin like Ripple which can benefit from price stability. With its large supply, and currently limited use, investors will want to be wary of readjustments following price rises. This is especially true for a coin like Ripple that benefits from stable pricing, and is designed more for corporate use than individual use. Before buying Ripple, find out how it works (finder.com/ripple) and decide whether you’re in it for the long haul or a quick buck. This can help inform your decision-making going forwards. If you’re in it for the short term, you’ll naturally want to take care to buy low. It’s also worth paying attention to upcoming hype. Ripple’s becoming a household name so getting ahead of the news can pay off. If you’re in it for the long run you’ll need to pay close attention to the features and current applications of Ripple, and ask yourself some big questions about the future of the global economy. You should also be paying close attention to Ripple’s sister coin, the Stellar Lumen. Despite a total supply of 100 billion coins, the Ripple company has put 55 billion XRP in escrow. These are held in place by a smart contract which releases 1 billion XRP per month over 55 months. Any unused amount will be put to the back of the queue, for release in month 56, 57 and so on. Unlike everyday inflation, the release of these might be good news for prices. This is because they’re released to Ripple partners and other affiliates to help get them involved, let them test drive Ripple and start using it with low costs. So rather than going to the exchanges, newly released XRP is being used to grow the its use. It’s worth keeping this in mind. Ripple is designed to facilitate international money transfers by acting as a settlement layer. Essentially, it lets people make international money transfers much faster and with minimal fees. It’s been picked up by a range of banks and international organizations, and is mostly designed to facilitate transfers in a business setting. Individuals will likely be using Ripple indirectly through their banks, and indirectly benefiting with faster transfers and lower fees. If XRP becomes the industry standard for international money transfers, it will still grow enormously and could conceivably top US$100 per coin. Ripple is more than just a transferable store of value. It also aims to offer smart contract functionality which will increase its applications considerably. Institutions will be able to use XRP for a range of different purposes. You only need to look as far as the 55 billion XRP in escrow for an example of potential applications. Those funds are being held with Ripple’s own smart contract application. Ripple performs an essential service, and it does it very well. So at this stage one of the only things that could derail the currency as a whole might be a continued shift towards direct peer-to-peer systems that cut Ripple and banks out of the equation. This is where Stellar Lumens come in. Stellar Lumens are Ripple’s sister coin. Lumens are also designed to facilitate international money transfers, and its price increase has closely mirrored Ripple’s. The main difference is that Stellar is designed for individuals to make international money transfers, or currency exchanges, directly with each other peer-to-peer. Essentially, it lets people exchange currencies and send money overseas by trading directly and automatically with each other, and cutting banks out of the equation. And for Ripple’s price to see major growth it needs to have banks using Ripple to conduct international transfers on behalf of individuals. While it’s still a long way off, the future of technology is increasingly based on decentralized peer-to-peer systems like Stellar, rather than centralized systems like Ripple. This town is big enough for both Stellar and Ripple, but there’s only so much money to go around. Ripple still has plenty of growing room, but anyone in it for the long run will want to pay close attention to the news, and how the world’s changing. The ripple protocol is designed to enable banks as well as individuals to transfer money anywhere around the world at the click of the button. Overall, more than 100 financial institutions are currently using the ripple protocol in order to transfer money. Many of the banks are also trying to use the ripple protocol in order to transfer money for their clients. As the number of these clients goes on increasing, the value of ripple would also go on increasing. In the future, with the rise in the value of ripple, you can be sure that the founders are of ripple would be much more valuable as well. The truth is that the founders of ripple have actually created a product for which, the need was around for quite some period of time. If you compare it with the techniques which are used by banks as well as financial institutions to transfer money around the world, they are still pretty old and it takes between 2 to 3 days in order to transfer the money. On the other hand, when you’re speaking about the usage of the ripple, you would realize that it is lightning fast and also it can deliver money to the recipient anywhere around the world almost instantly. This is one of the main reasons why ripple is so valuable as well. The usage of ripple is increasing significantly as well. Since touching a high of $ 3.84, ripple; however, has fallen off from those levels. It remains to be seen whether ripple is able to gain those levels again or not. One thing which is for sure is that the numbers of companies which are using the ripple protocol in order to move the money around are surely increasing. 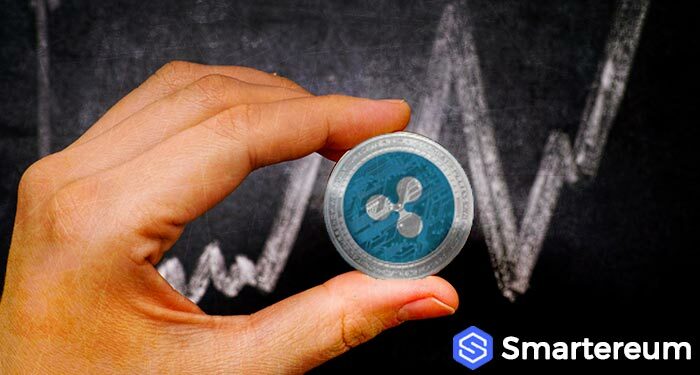 That is why it is an expectation among the investors that ripple would also be able to get new high and owing to this very reason, the ripple would be able to make its founders as well as investors richer in the future as well.